Do you want a campaign to trigger every time a page is loaded? Normally, a campaign is shown once per session. 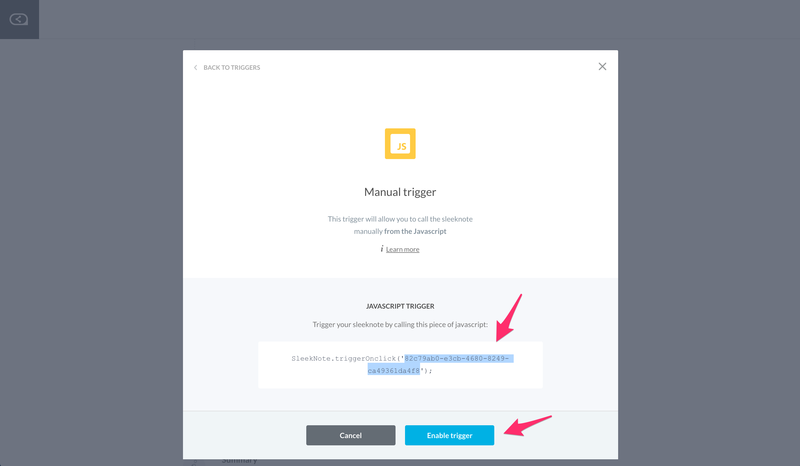 This ensures a non-intrusive experience for your users and customers. It can be annoying to see the same popup every time a user refreshes a webpage. In some cases, though, it makes sense to have it trigger every time. For example if you are running a contest or use campaign as a contact form you might want the user to see it every time. 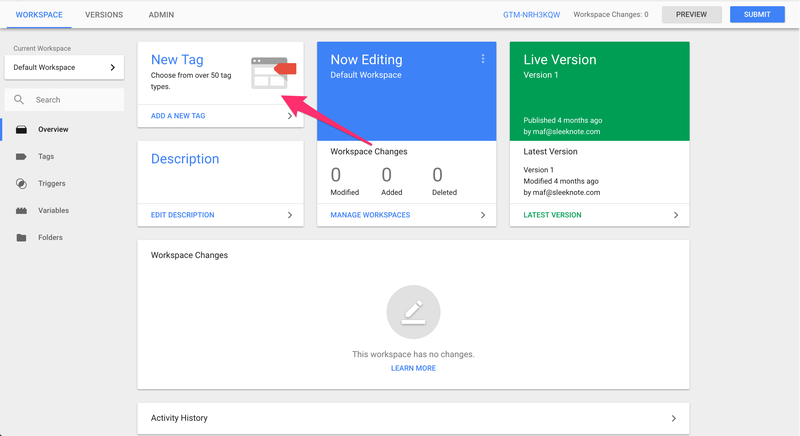 Before we move on, make sure you have Google Tag Manager implemented on your website. When editing a campaign, go to 'Settings' and click 'Change rule'. 2. 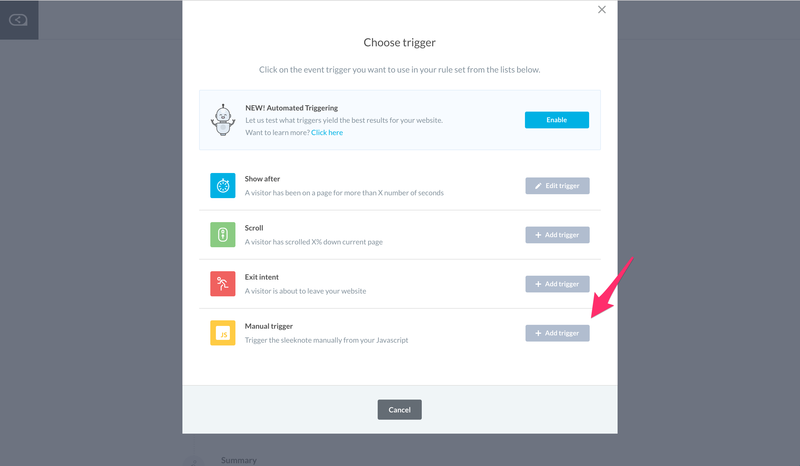 Select 'Add another trigger' and then 'Manual trigger'. 3. Copy the ID of the campaign as seen below and 'Enable trigger'. Save when you're done. 4. 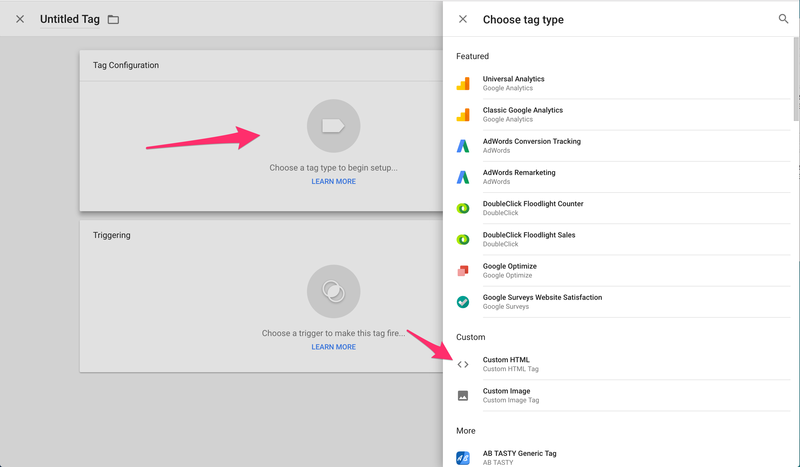 Next up, go to Google Tag Manager and create a new tag. 5. 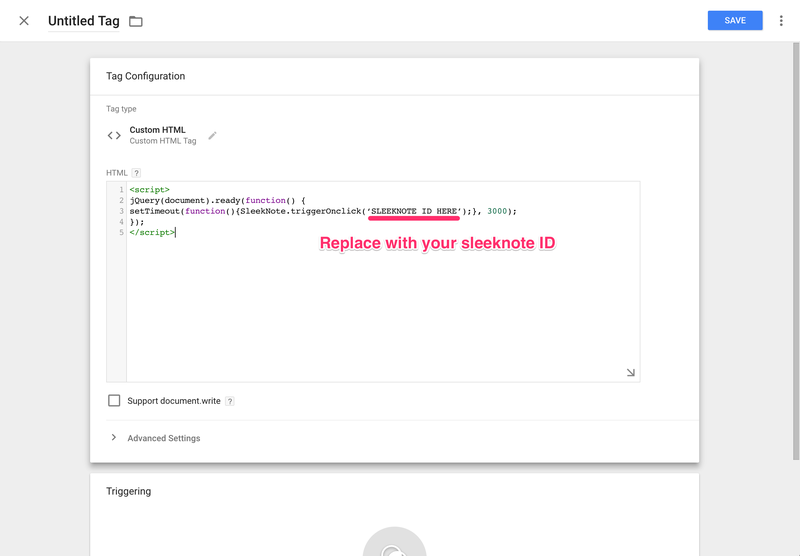 Select 'Choose a tag type to begin setup' and then 'Custom HTML'. 7. Scroll down and click on 'Choose a trigger'. 8. Select your desired trigger type. 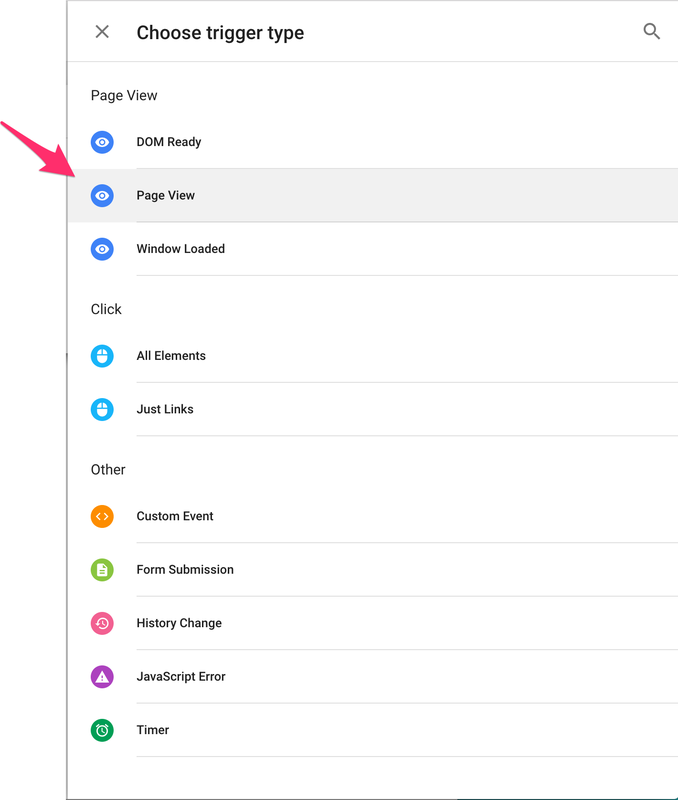 You can for example choose 'Page view'. 9. 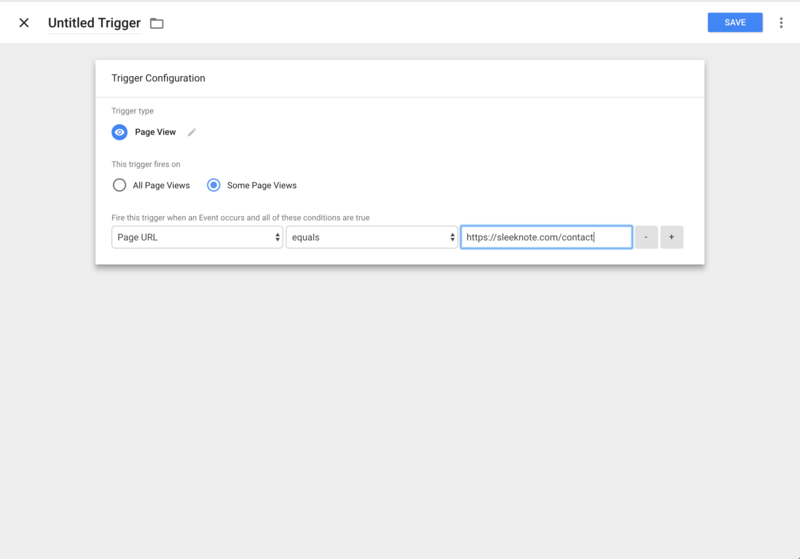 Then select what page(s) the script should trigger on. 10. 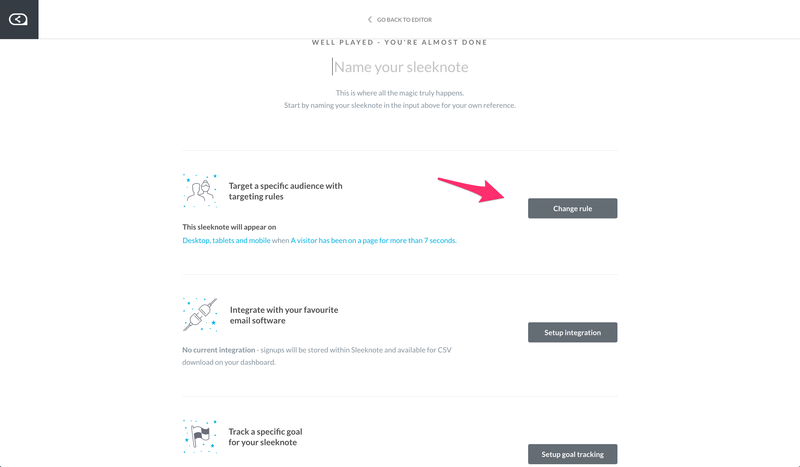 Finally, save your tag and remember to click 'Publish'.